Independence Run & Hike is putting on our fifth annual 5K Jingle Bell Run and shoe drive! Need an excuse to stuff yourself with holiday turkey on Christmas day? 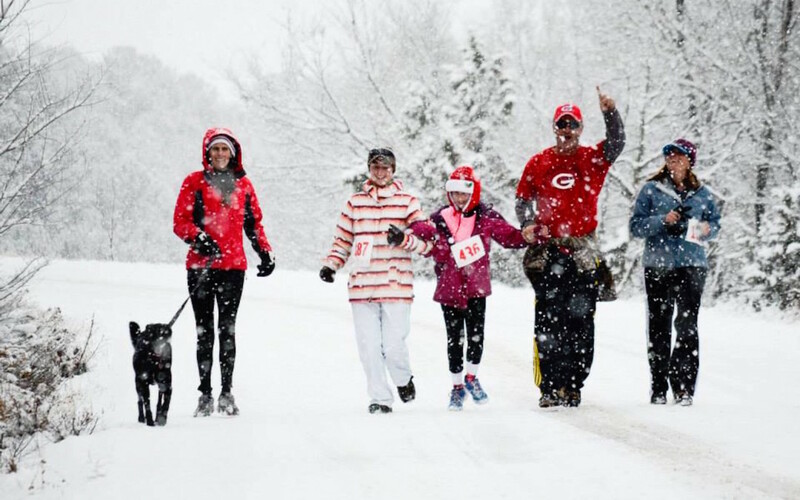 Come torch some calories at this fun, festive 5K on December 22 at 11:00 am! Ugly holiday sweaters, Santa hats, bunny suits, leg lamps and jingle bells are strongly encouraged. The entry fee is just$10, and proceeds will benefit the Glenwood track team. The race starts from our store in Fontana Plaza, where we’ll have a quick meeting and then head out for a fun 5K with great views of Mt. Sopris. And don’t forget your beat-up old running shoes! Everyone who donates a used pair of shoes gets a certificate for a burrito and a hot drink from our neighbors at Dos Gringos. Pre-register at Independence Run & Hike in Carbondale!